"Thank you for your appearances at the Valencia Library. We’ve had so many requests for magic books we can’t keep up!!". Engaging a child’s imagination requires a unique approach! 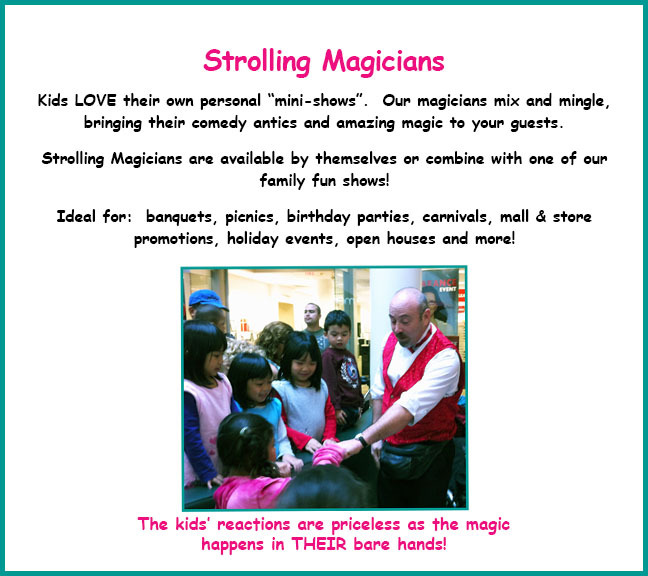 Our magicians are EXPERTS in magic and comedy FOR KIDS! 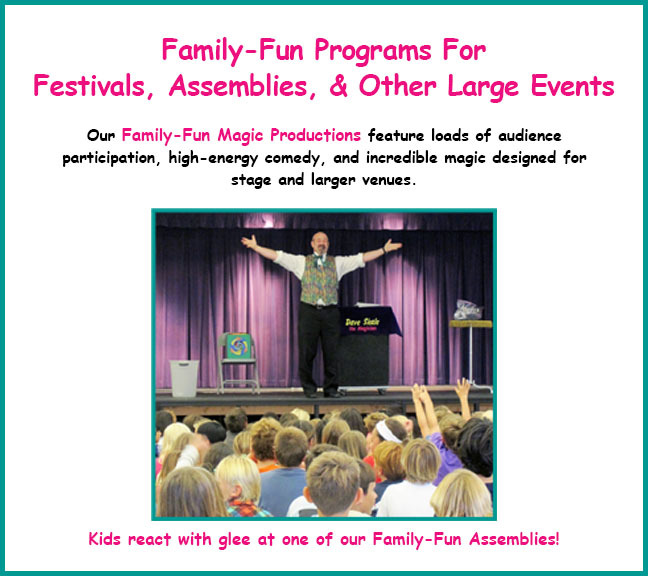 Technical Skills – From sleight of hand to stage productions, our magicians are experts at entertaining families. Comedy – Kids love to laugh! 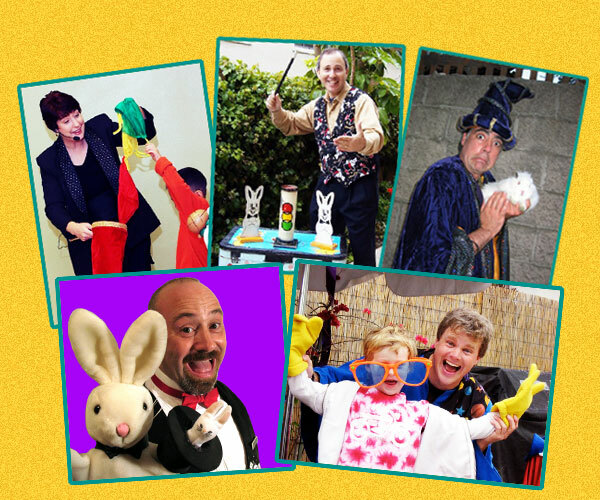 Many of our magicians have improv backgrounds, transforming tricks into hilarious comedy routines. 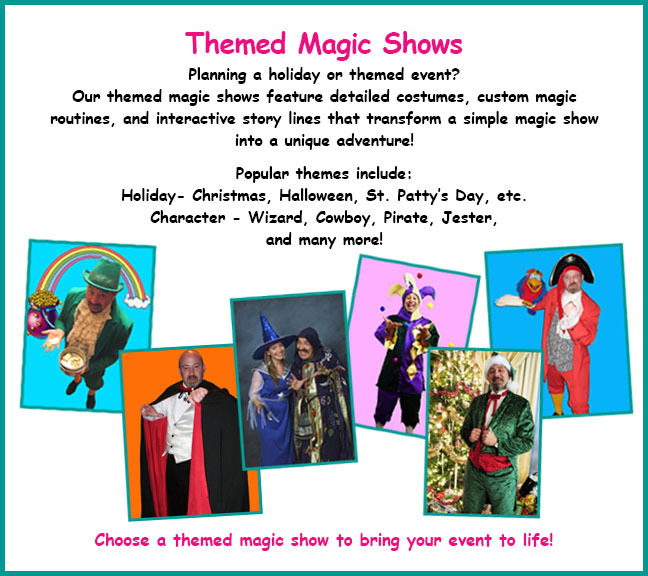 Themes – Many of our magicians offer a variety of themes & costumes, including holiday, character, and educational themes. If you have a unique theme to your event, just ask! 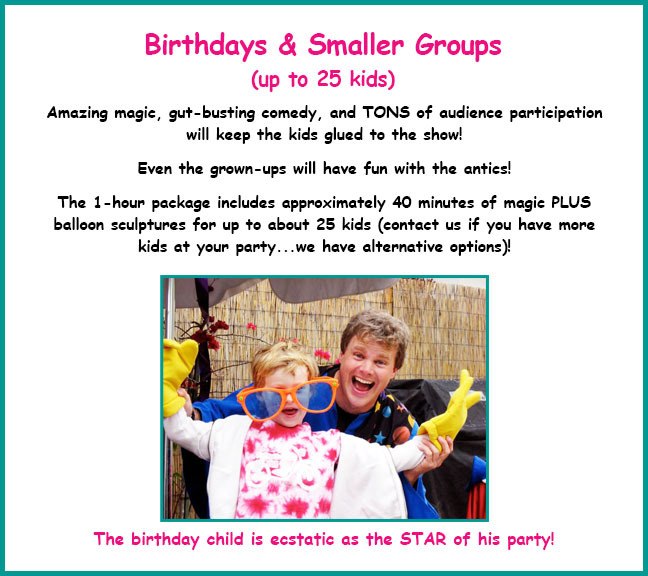 We offer a variety of magic options to best meet your needs!